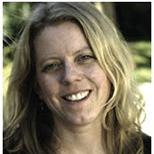 Cara Pike is the founder and director of the Social Capital Project. The project has resulted in the creation of the Ecological Roadmap, a segmentation study of the U.S. public based on social values; Climate Crossroads – A Research-Based Framing Guide; and most recently, Climate Communications and Behavior Change – A Guide for Practitioners. Cara was formerly the vice president of communications for the nonprofit environmental law firm Earthjustice, where she created and ran a full-service internal communications agency for the organization’s eight offices, policy arm and international program.